Many time we do not want to run our hive query through beeline or hive cli due to so many reason. 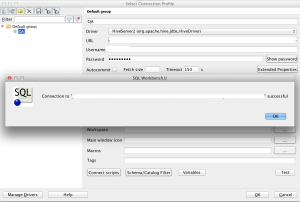 Here I am not going to talk about reasons as its big debatable point, so in this article I have explain the steps to connect SQL Workbench to out hadoop cluster. In this article I have used hortonworks hdp 2.3 stack. 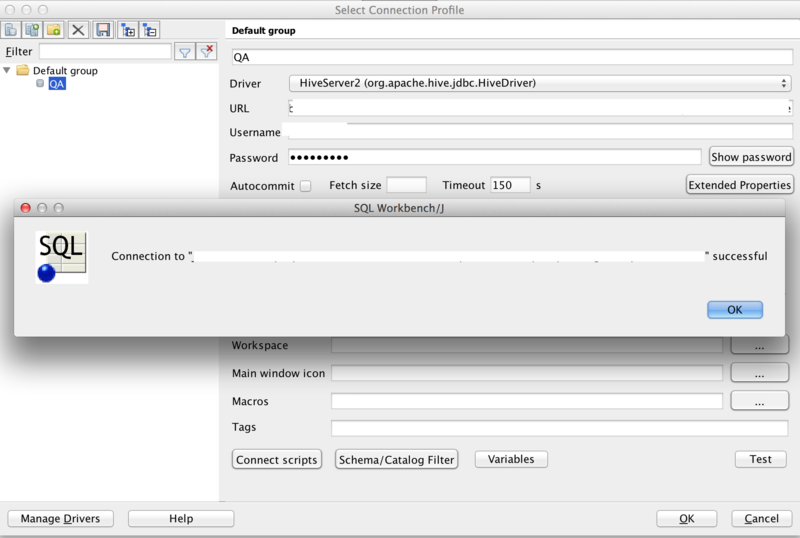 Step 1: Download SQL Workbench from the following URL and run it. 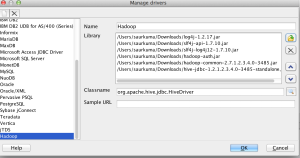 Step 2 : Download following driver list from your hadoop client to your local machine. 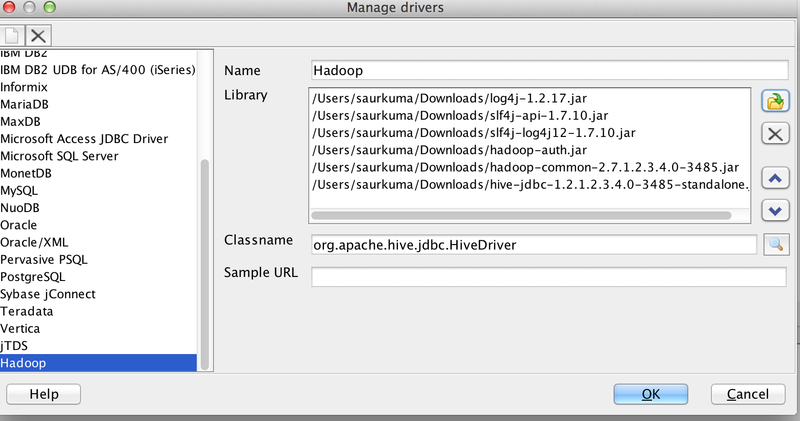 Step 4: Create new Driver with any name(like Hadoop or HiveServer2 ) and upload all required .jar files then click ok. 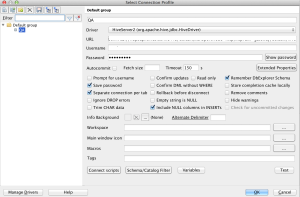 Step 6: Now click on Test button to test connection and then click on ok button to save your configuration.